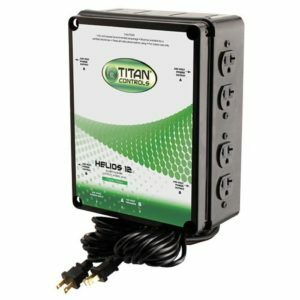 This easy to use CO2 controller determines precisely when to activate and shut-off CO2 generators to maintain user-defined LOW and HIGH CO2 values in the grow room. 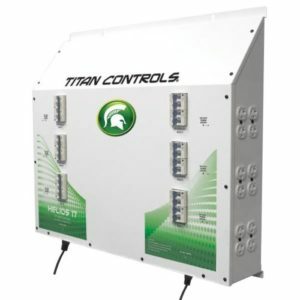 The unit can deactivate CO2 enrichment during the night cycle and perform CO2 evacuation as well. 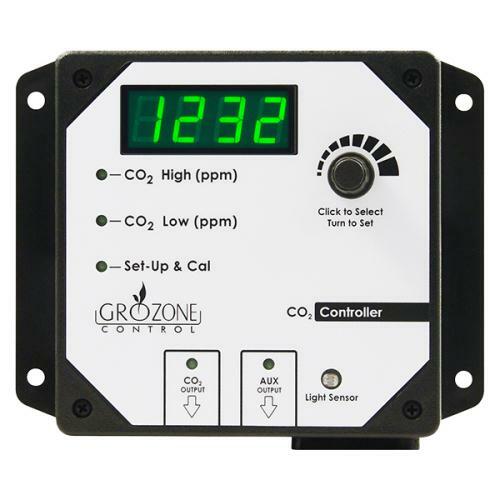 The CO2 sensor is located in the controller box. 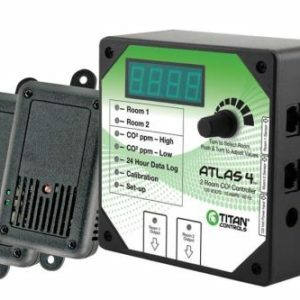 A second Output Box (AUX Output) can be used to control your exhaust fan, that is stopped when the CO2 generator is activated to avoid wasting CO2. 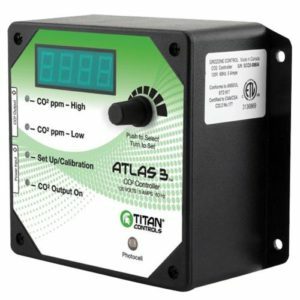 NEW: the CO2R now includes a High Temperature Shut Off, in order to stop the CO2 generator (burner) and reactivate the exhaust fan if room temperature becomes higher than user preset value.